Back this year: our popular free snowshoe borrowing program at The West Woods! And did we mention it’s FREE? At least a few inches of snow on the ground is needed, and the deeper the snow, the better. Call-ahead reservations are preferred at 440-286-9516. Any un-reserved snowshoes are available at first-come, first-served basis. Borrowers must be 18+ to check out a pair; anyone younger must be accompanied by an adult, and no one under 40 pounds may use the snowshoes due to their weight. Borrowing can take place any time 10:00 a.m. to 2:00 p.m. and last up to two hours. Registrants must sign a waiver form and leave a driver’s license as a security deposit. Please note that snowshoes may not leave The West Woods except for registered programs. Want a more guided experience? Visit http://bit.ly/gpdsscall2017 and get your name on our call list for special snowshoe programs that will be “called into action” anytime now through March 1 whenever snow conditions are right. While some of Ohio’s wilderness wildlife have made remarkable comebacks in Geauga County, others are gone for good. Naturalist Dan Best looks forward to sharing on these topics during two mid-December Sunday programs at The West Woods Nature Center. On December 11th, No Way Back: Ohio’s Once-Upon-a-Time Wildlife will chronicle the demise of wolves, cougar, elk, rattlesnakes and passenger pigeons using early 1800’s historical accounts. Then, on December 18th, Comeback Critters: Home Again in Ohio will describe how otters, bears, eagles, osprey, Sandhill Cranes and other wildlife have reclaimed Ohio homelands including our county, and speculate on what wildlife may have a chance to reappear here in the decades to come. Both programs are 2:00 p.m. to 3:00 p.m., and neither requires registration to attend. The nature center is fully wheelchair/stroller accessible. Please call 440-286-9516 with questions. Some birds can look totally different up close than they do flitting through the forest. But you don’t need to take our word for it – join naturalist and bird bander Tami Gingrich as she nets winter residents at the Swine Creek Reservation lodge feeder! Saturday, December 17th – 9:00 a.m. to 11:00 a.m.
Swine Creek Reservation, Lodge, 16004 Hayes Road, Middlefield Twp. At this program you will get to see birds up-close as they are banded, weighed, measured and released in an effort to determine their longevity. Bring a camera for close-up photo opportunities – this is one of our very special Nature’s Not to Be Missed opportunities! The lodge is fully wheelchair/stroller accessible. Registration is not required. Please call 440-286-9516 with questions. 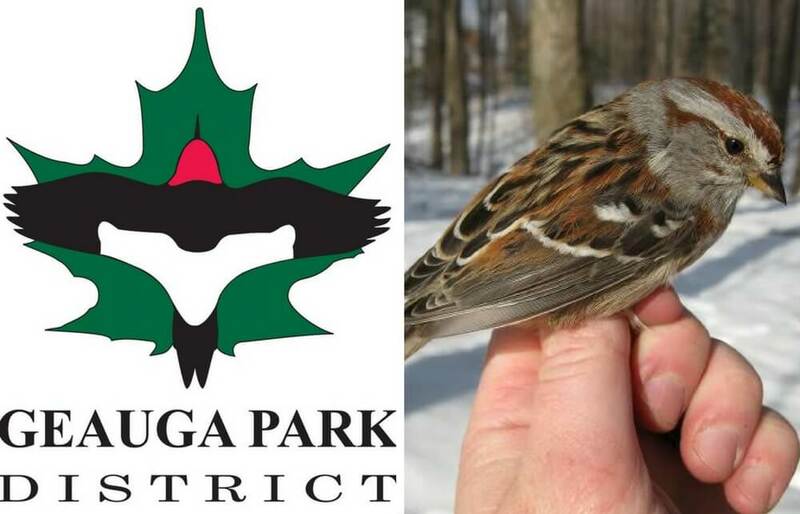 Geauga Park District is online at GeaugaParkDistrict.org, Facebook, Twitter, Instagram and YouTube.